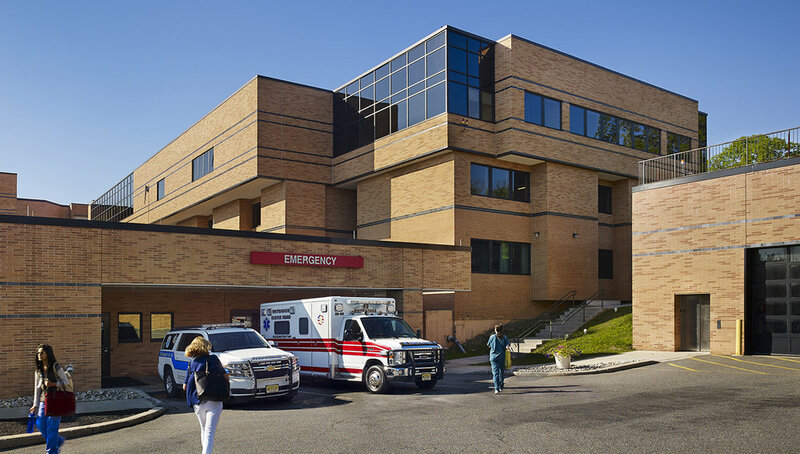 Hunterdon Medical Center’s new cardiac center allows for new and developed services, improving care and comfort for patients. 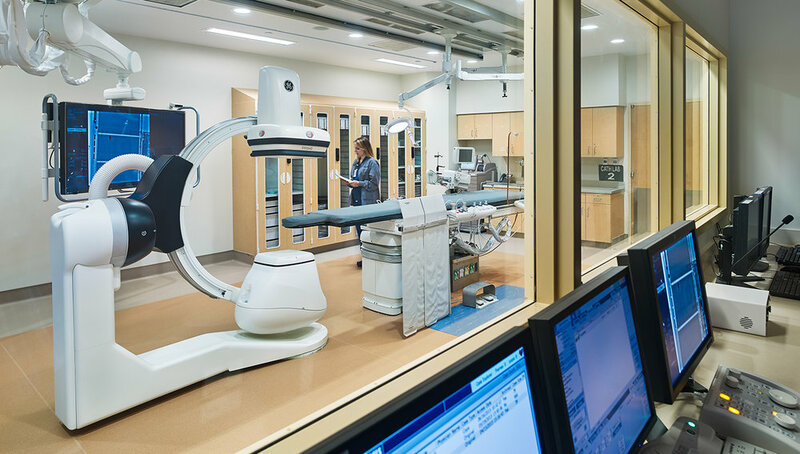 This project brings vital heart and vascular services together in one location, allowing for more convenience and comfort for patients, as well as increased efficiency in care. 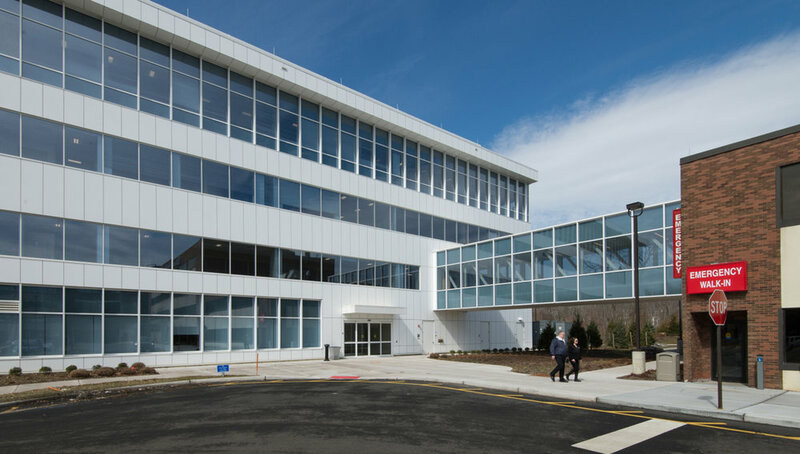 The renovation and expansion was phased to allow for the relocation of departments from existing spaces, which were identified as under-sized or inefficient in layout, to newly constructed space. 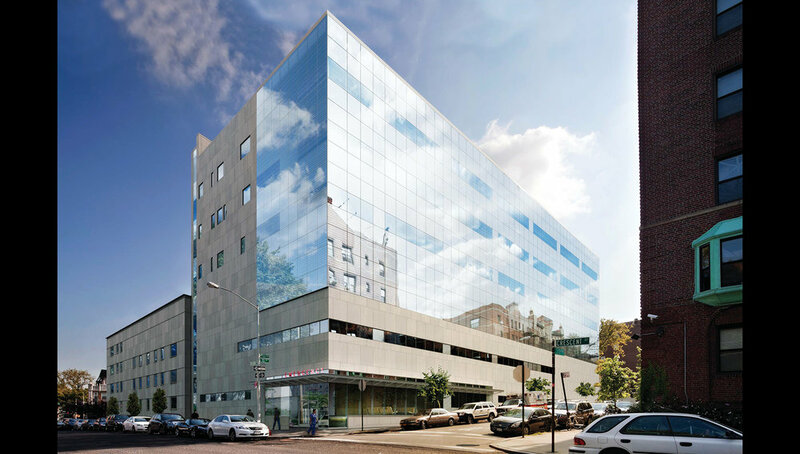 The ideal space for the Cardiac Rehabilitation Center was determined to be adjacent to the new Cardiac Inpatient unit. This required the hospital’s 5th floor, Child Development, to be vacated and moved off-site to benefit pediatric and cardiovascular clients. 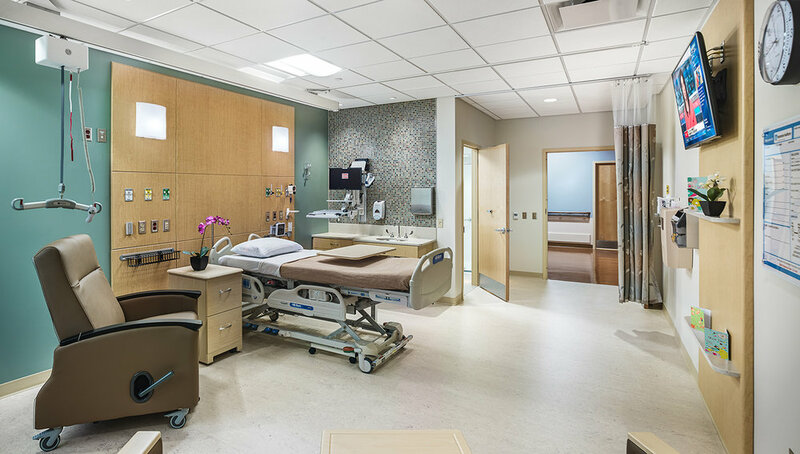 The new fourth floor has a link to the existing tower building’s fourth floor and was shelled for a future nursing unit of 28 private med/surg beds. 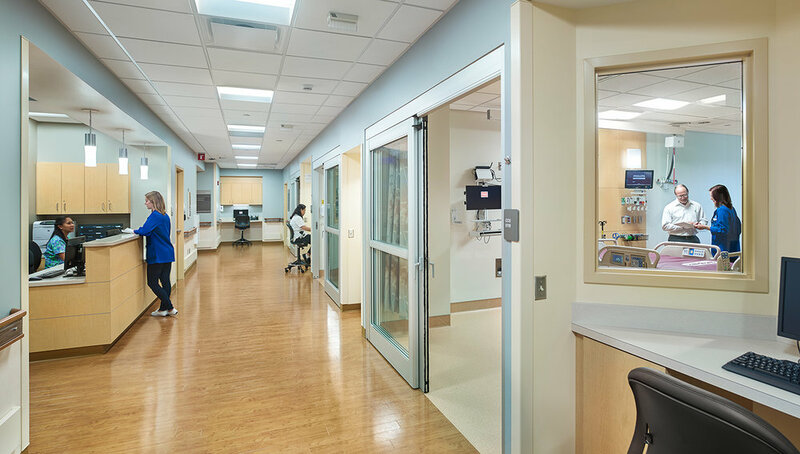 The new fifth floor includes 3 catheterization labs with a ten-bed holding unit, a Coronary Care Unit of four beds, and a 16-bed Step-Down Patient Care Unit and related support spaces at the core. New exercise space and a monitoring station were provided along with offices and education meeting rooms. 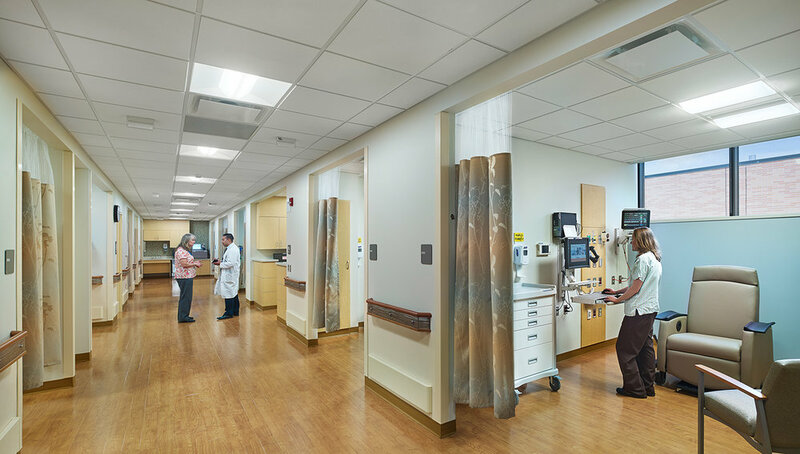 A portion of the existing 5th floor tower building was renovated to provide a new waiting area and intake functions for the Cardiac Catherization Department as well.